Teller was born in Cambridge, England and raised in Ilinois, USA. Teller holds a Bachelor of Science in computer science from Stanford University, Masters of Science in symbolic computation also from Stanford University, and a PhD in artificial intelligence from Carnegie Mellon Univeristy, where he was a recipient of the prestigious Hertz fellowship. After working as a teacher at Stanford University, he became a business executive. Teller is the co-founder and Chairman of BodyMedia, makers of the "BodyMedia FIT", "Bodybugg", and the "Sensewear" armbands (wearable devices that function as a dashboard for the human body; measuring sleep, perspiration, motion, and calories burned). He is also co-founder, Director, and former CEO of Cerebellum Capital. In 1997 he was the author of the book ExegesisTeller also wrote the novel, Exegesis, which was published in 1997. In May 2001, Teller was featured on NPR's All Things Considered, discussing how the good economy has shaped the attitudes of 30-year-olds towards their jobs. He has lectured at the TEDMED Conference (2003 and 2004), South By Southwest (2013), and ideaCity (2004). In 2008, Teller appeared as a political commentator on the national French television station France24. Teller is the co-founder and co-host of the Solve for X annual event and Internet community. Since 2010, Teller has been directing Google X laboratories. Projects at Google X include Google Glass, Google driverless car, Google Contact Lens, and Project Loon. 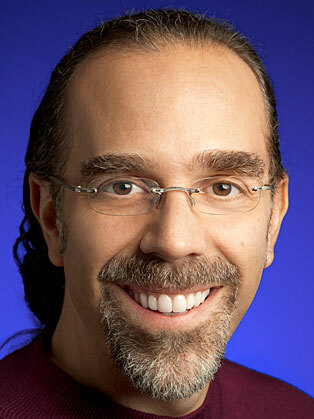 Google X spun its project called Genie out into a stand-alone business in 2012.